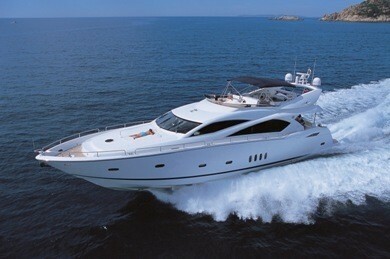 Luxury motor yacht SERENITY is an Italian influenced build by Lazzara Yachts measuring 29 metres (95ft). 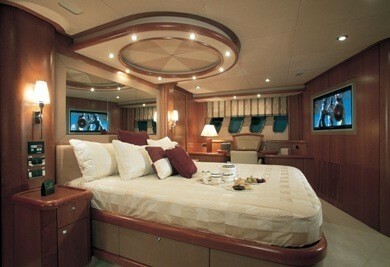 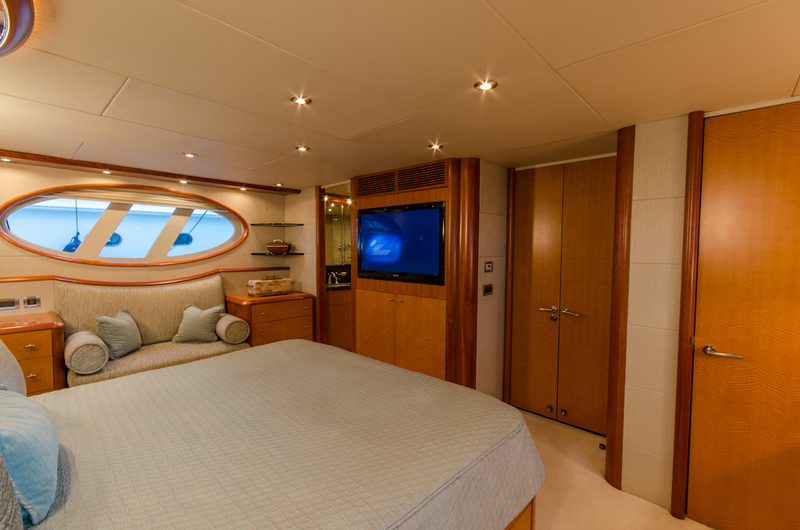 Offering 3 deluxe ensuite cabins, M/Y SERENITY accommodates up to 6 charter guests. 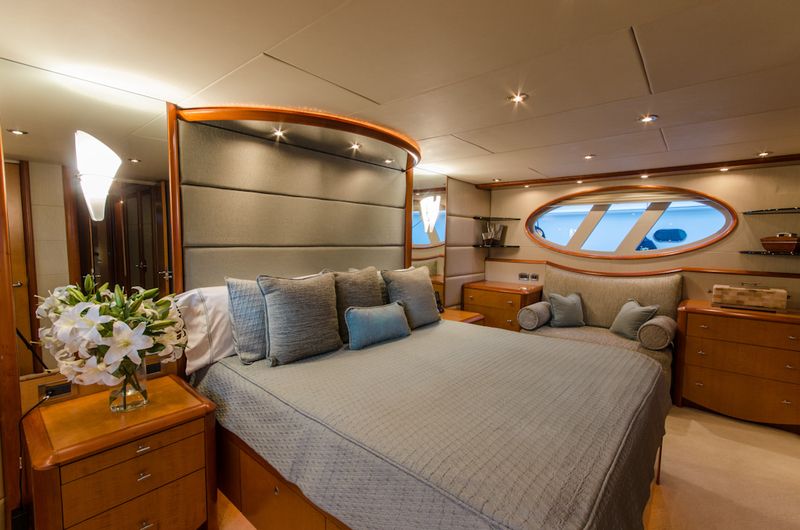 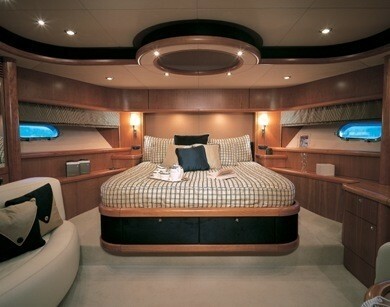 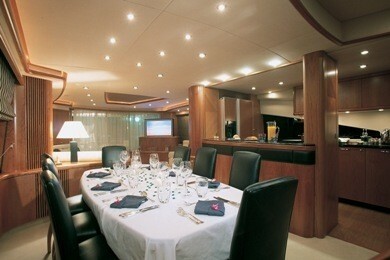 Crewed charter yacht SERENITY features a warm contemporary interior decor, with a timeless elegant ambiance. 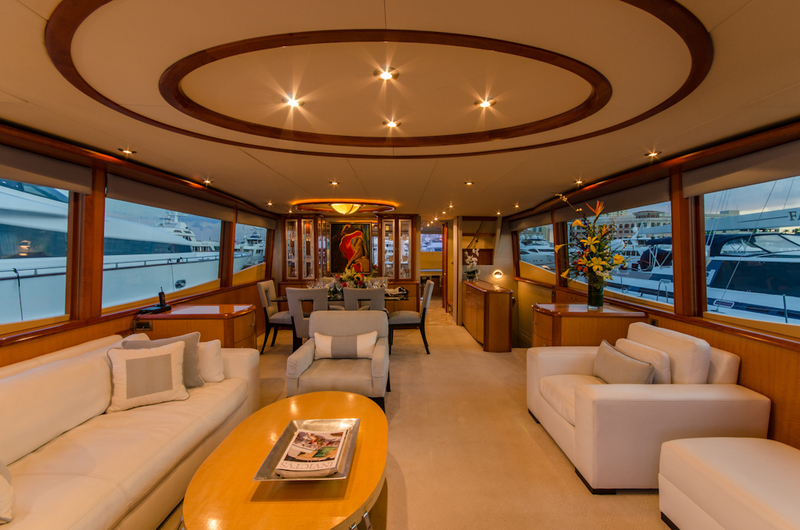 The salon offers a large plush sofa, ottomans and occasional chairs, set within modern warm wood panels, neutral carpets and ambient lighting. 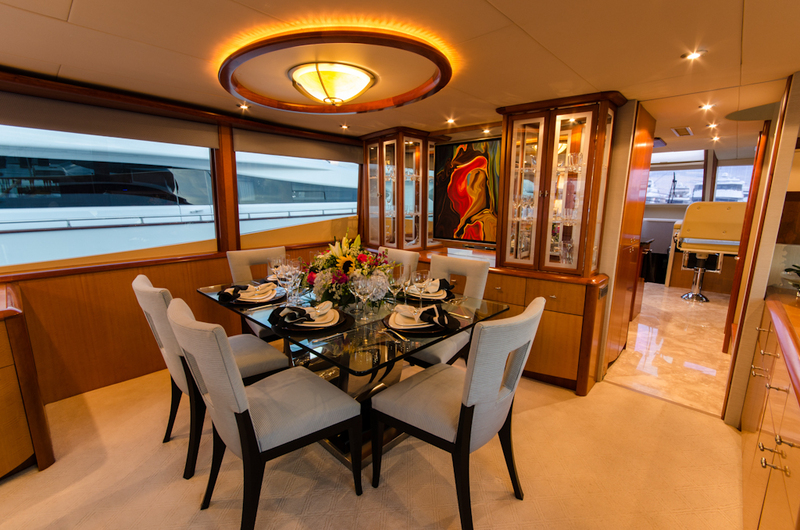 Forward of the salon is the formal dining, featuring a glass table flanked in high back dining chairs for maximum comfort. 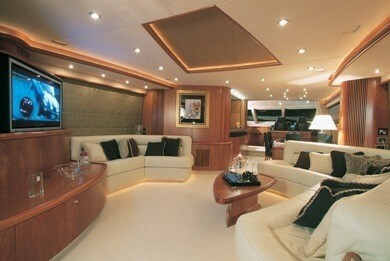 The salon boasts elongated side windows with neutral toned roman shades, for optimum privacy. 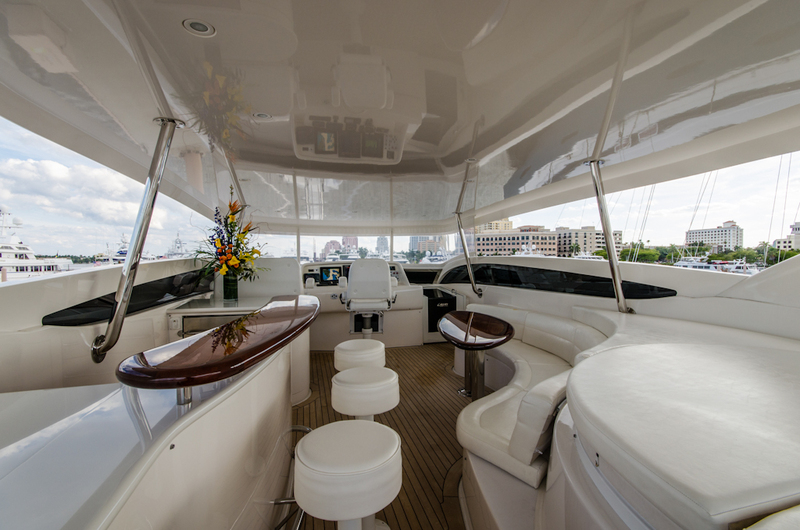 The Lazzara yacht SERENITY has well-appointed and spacious exterior living, on 2 decks. 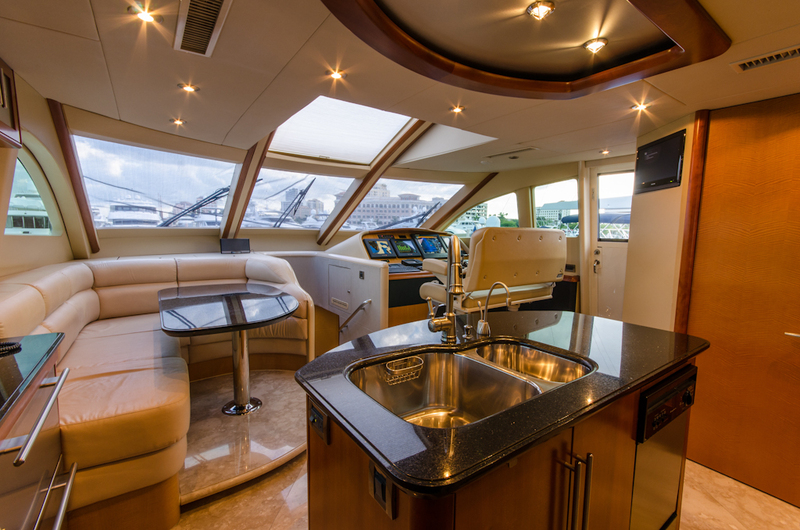 The aft deck has direct access to the salon, through sliding glass doors and features an alfresco dining option and partial shade. 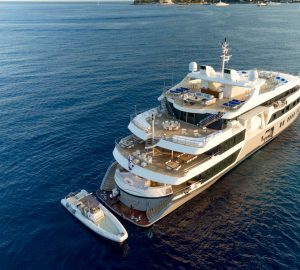 Water enthusiasts will find plenty to do with the array of water toys. 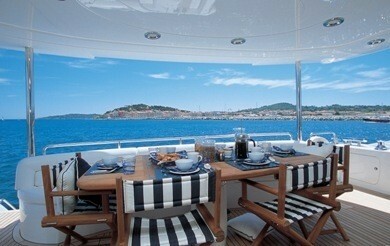 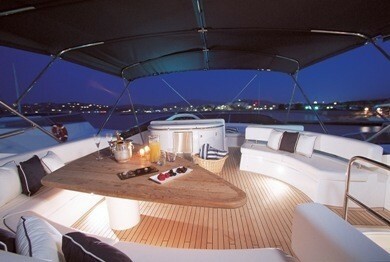 On the flybridge deck, an additional alfresco dining option is ideal for casual entertaining. 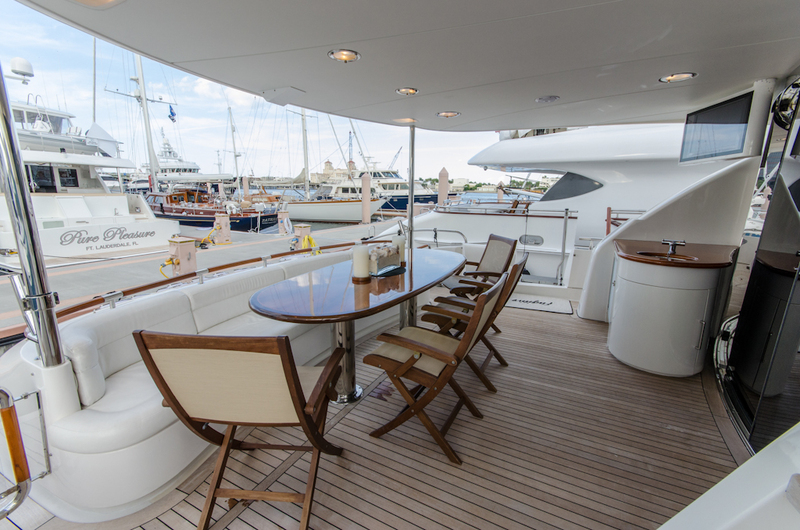 This GRP constructed yacht which also had a refit in 2014, is powered by 2x Caterpillar C30 1550HP engines, charter yacht SERENITY is capable of an impressive 19– 28 knots. 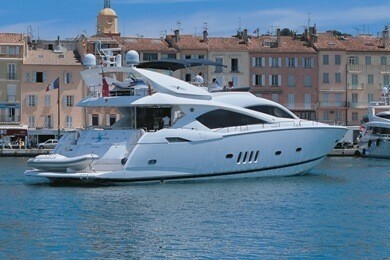 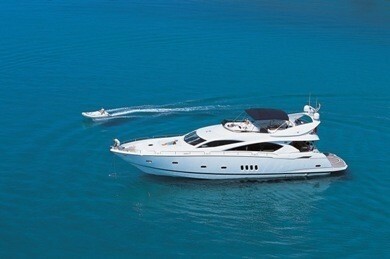 Luxury accommodation aboard the Lazzara motor yacht SERENITY is offered in 3 spacious cabins, for up to 6 guests. 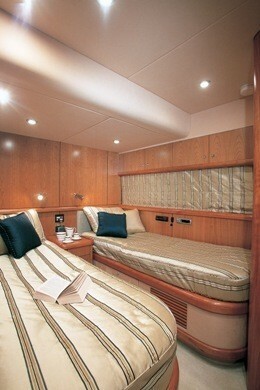 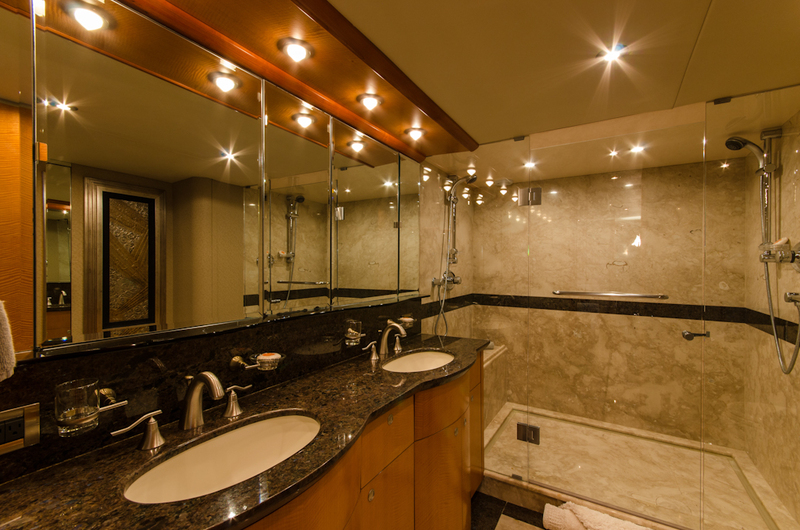 The master suite offers a centre lined king size bed, sofa and impressive ensuite with marble vanity and spacious shower. 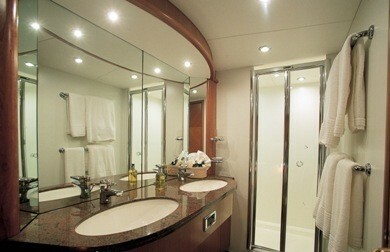 The other two guest cabins have queen size beds, air-conditioning and ensuites. 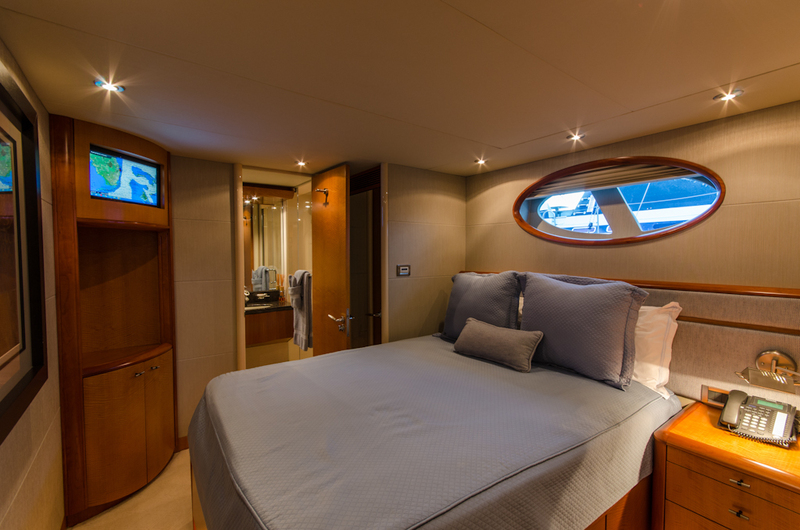 All 3 cabins are timeless, light, airy, and feature a modern and relaxed atmosphere. 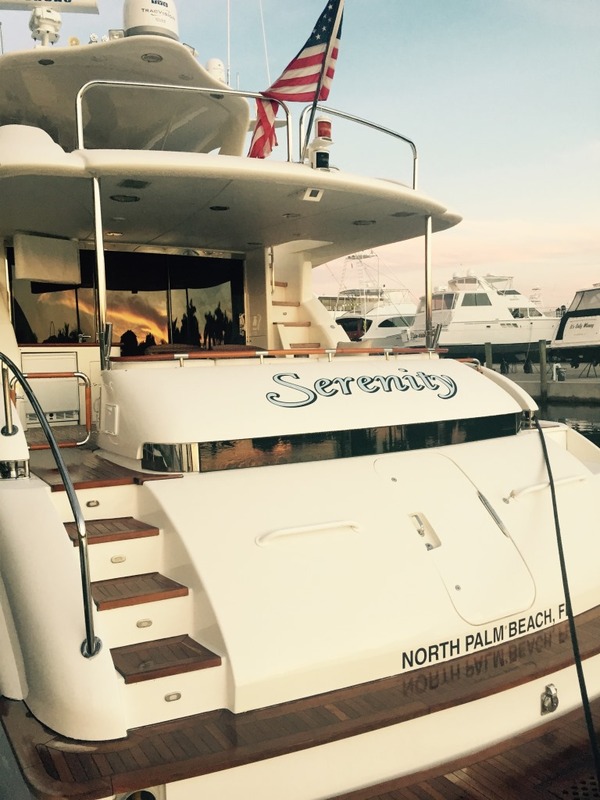 Charter yacht SERENITY has a good selection of tenders & toys include a 20' Polar Center Console 115HP Yamaha, 2x Stand Up Paddleboards, Brownies Third Lung, Snorkel Gear and Fishing Gear. 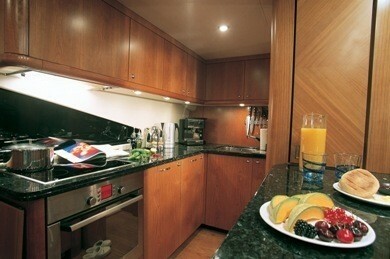 Audio Visual Equipment includes TVs in guest cabins. 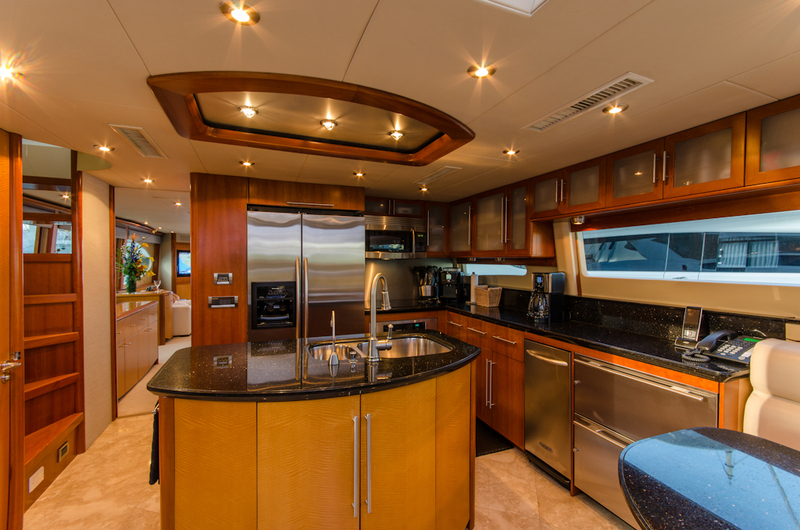 Flybridge with Jacuzzi and alfresco dining or ample sitting areas.